The brilliant Stomping Off From Greenwood is saxophonist Greg Ward’s fifth release as a leader. 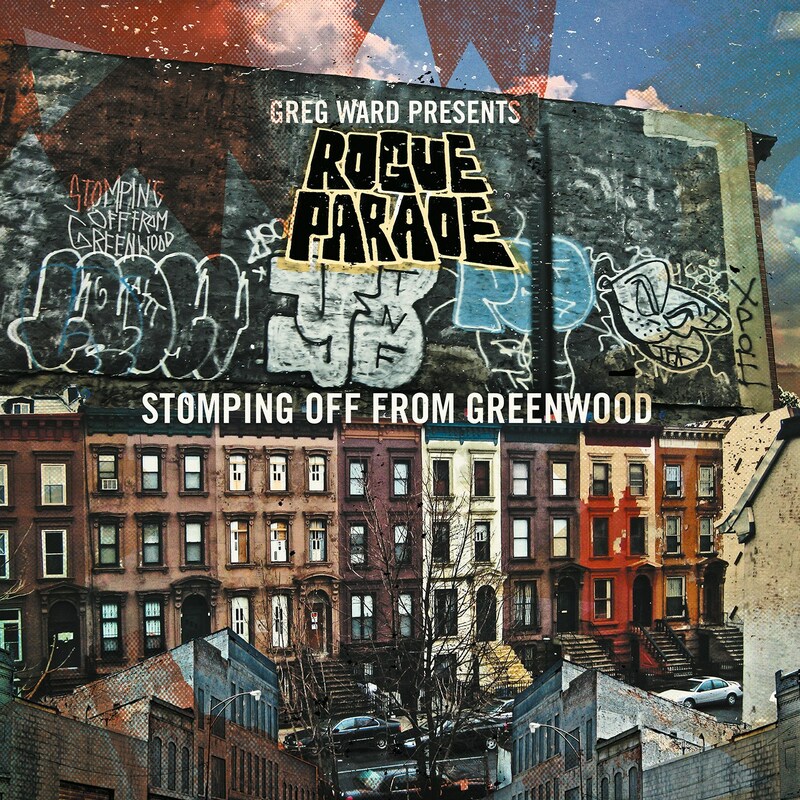 This moving and intelligent album serves as an introduction to Ward’s new quintet Rogue Parade and its unique sound. What is perhaps most remarkable is the sublime balance between the vibrant spontaneity and the intricacy of Ward’s impressionistic compositions. “Metropolis” conjures images of a lively city with dramatic flair. The two guitarists Matt Gold and Dave Miller, with their personal contrasting styles, create an electrified ambience. Within it Ward’s restless melody flows with agility and passion over the bass and drums’ dark rumble. The collective performance, elegant and suave, crackles with spirited abandon. The music with its cinematic construct also makes room for stimulating individual expressions and provocative exchanges. The eastern flavored “Black Woods” for instance opens with bassist Matt Ulery’s wistful and lyrical improvisation setting the mood for the ensemble’s undulating melancholic lines. While the energetic “The Contender” features Gold in a richly textured solo that Miller’s contemplative and angular chords punctuate. Ward’s fiery saxophone phrases mark the percolating “Let Him Live” as they alternate with the band’s urgent refrains. Drummer Quin Kirchner drives the piece with his thunderous beats as a primal spirituality imbues his exhilarating percussion. The haunting “Sundown” has a shimmering drone and cascade of chords that are like ripples on the surface of a pond. Over Kirchner’s swaggering rhythms Miller and Gold engage in an exquisitely poetic dialogue. The group synergy is best heard on the illusory “Fourth Reverie”. The eerie delightfully dissonant tune is made up of simultaneous and overlapping stream of consciousness soliloquys that together form an innovative and crystalline cohesive piece. Stomping Off From Greenwood is one of those rare recording that is explorative yet accessible, cerebral without sacrificing the emotive and simultaneously intimate and expansive. In sum it is a mature and refreshingly original work.